Experience the modern technology and superior quality of the Grip-n-Glide squeegee. You will be blown away by the performance of this squeegee system compared to a traditional tube squeegees. These precision blades are .24” thick and feature a french edge that is machine milled for optimal water control and solution extraction. The Grip-n-Glide features a sturdy construction with interchangeable blades. The blades conveniently and securely snap in and out of the uniquely shaped ergonomic body. The body is then covered in an ultra-comfortable handgrip that has a deep surface texture making this squeegee easy to use in wet or dry environments. Get ready to experience a higher level of precision with this next generation application squeegee. 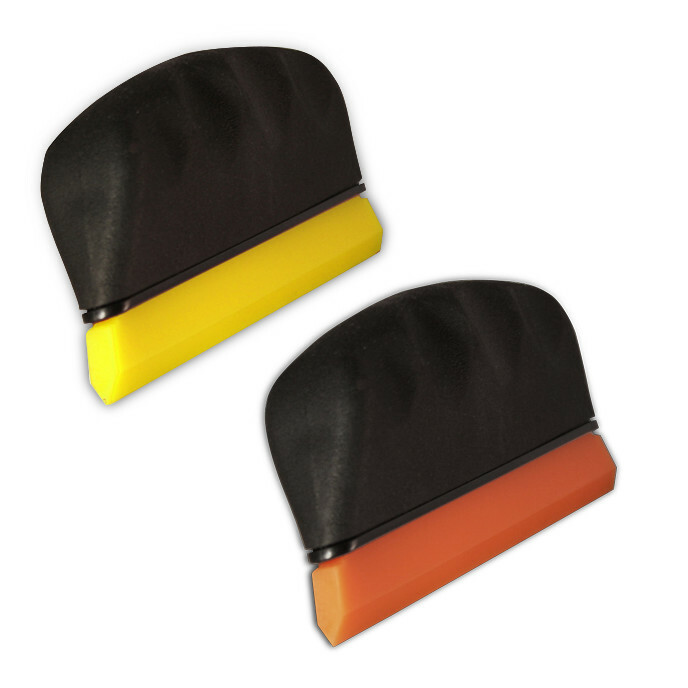 The Grip-n-Glide comes in Yellow for window film installations, and Orange for paint protection film, vinyl graphics and car wrap films.